Work experience: the general experience is 42 years, the scientific and pedagogical experience is 40 years. Position: Candidate of Technical Sciences, Associate Professor, Head of the Department of Transport Engineering and Logistics Systems. Work in departments, including dates of employment and positions held: From 1976 to 1978, he worked as chief mechanic at the Head car base of the Kazmedstroy trust. From 1978 to 1980, he worked as an assistant at the Department of Automobile Transport of the Dzhezkazgan branch of KarPTI. Since 1980, an intern-researcher, and then a postgraduate student at the post-graduate school at the Department of Automotive Transport, Moscow Automobile and Road Institute (MADI). In 1987 he defended his thesis for the degree of candidate of technical sciences in MADI (Moscow). From 1884 to 1989 he worked as Art. Lecturer at the Department of Automobile Transport of the Dzhezkazgan branch of KarPTI. 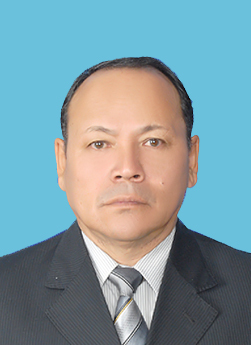 From 1989 he worked as an assistant, senior lecturer and associate professor of the department “Automobile Transport” KarPTI. From 2012 to the present, head of the department “Transport equipment and logistic systems” of KSTU. Main publications: a number of textbooks and teaching materials have been published. Items read in the academic year: «Fundamentals of the technical operation of transport equipment», «Reliability of transport equipment», «Management of technical systems».